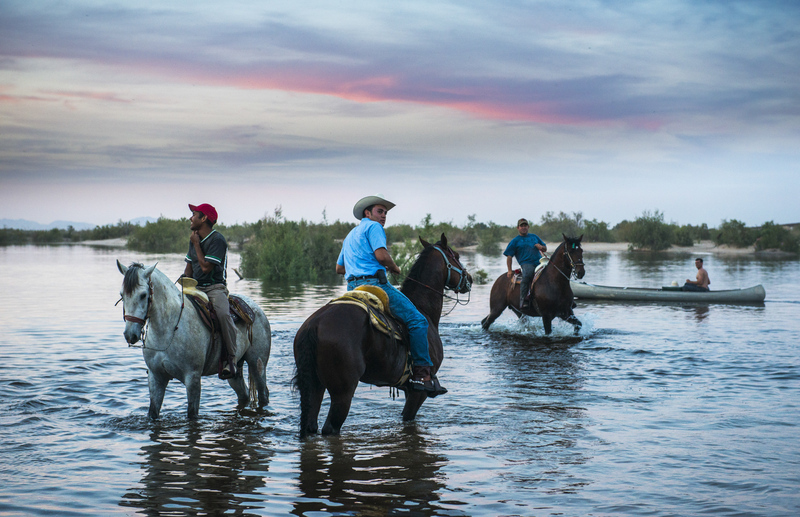 Local cowboys come to what is typically a river of sand, to welcome their new guest: agua. The Colorado River Delta binational agreement of 2014, which released water for the environment for eight weeks, was the first of its kind among the 260 rivers that cross international boundaries. Mexico celebrated!